Idaho?! Aren’t there a lot of potatoes there??? Yup, you got us. The southern half of the state is great potato growing country and we are proud of it. I mean, who doesn’t love fresh french fries?!? The northern half of Idaho? Chock full of mountainous wilderness, rushing rivers, and massive swaths of national forests. Did you know that Idaho has 3,100 miles of raft-able whitewater rivers!? And 107,651 miles of rivers in general! 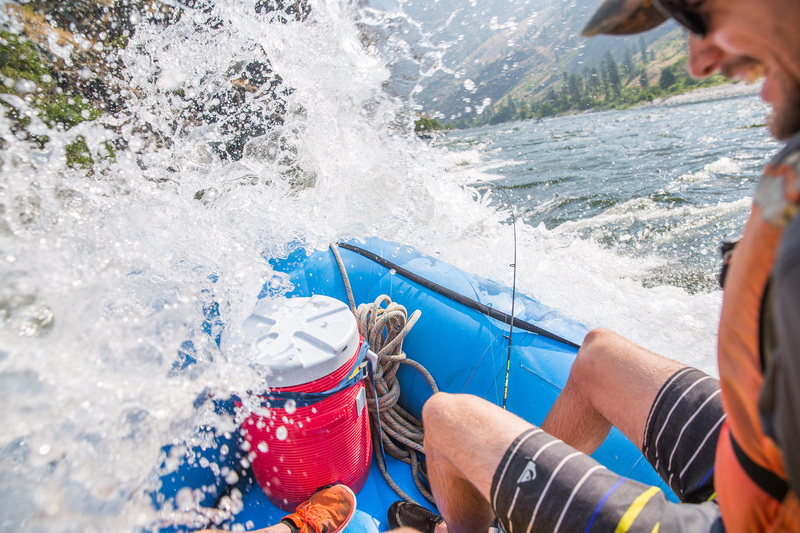 If Idaho wasn’t so famous for potatoes, it would be known for its whitewater. 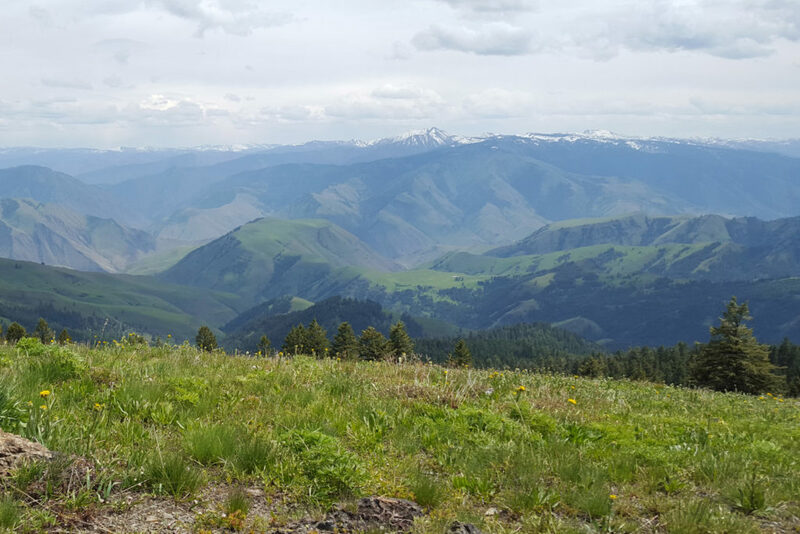 Idaho is a hidden gem and on the edge of that gem touching Oregon is a scar on the Earth: the deepest canyon in North America called Hells Canyon. The Snake River runs out of Yellowstone National Park, down through Wyoming and hauls through all of southern Idaho until it hits Oregon and starts running north. There, it cuts deep into the Earth: 1,900 miles deeper than the Grand Canyon! 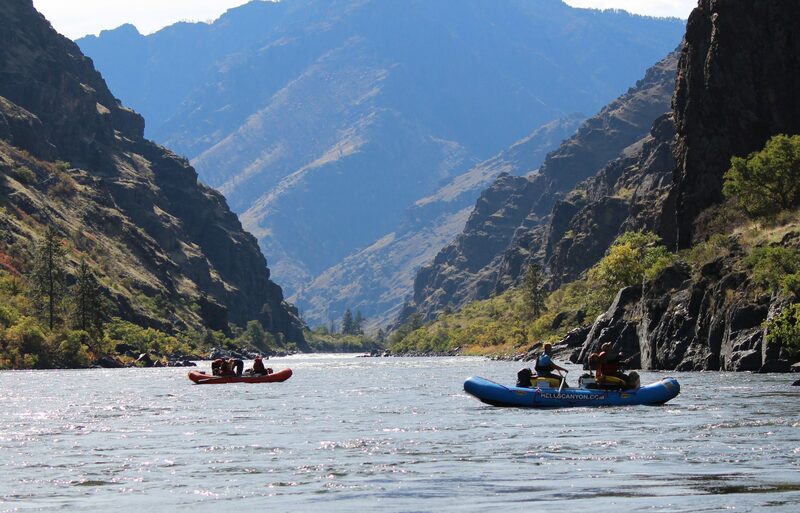 So what’s so special about Rafting in Hells Canyon? Cut into deep dark lava rock, the Snake River flows 8,000 feet below the Seven Devils Mountains of Idaho and the Blue Mountains of Oregon. The towering canyon walls are constantly changing against the incredibly blue sky. The canyon opens into steep meadows and closes back in as the Snake River flows north. Creeks flow in through side canyons and drinkable springs pour out cold water through the rocks, all without a road or bridge in sight. For the full 80 miles through Hells Canyon, only a few roads are visible and there’s not a single bridge that crosses the Snake River. 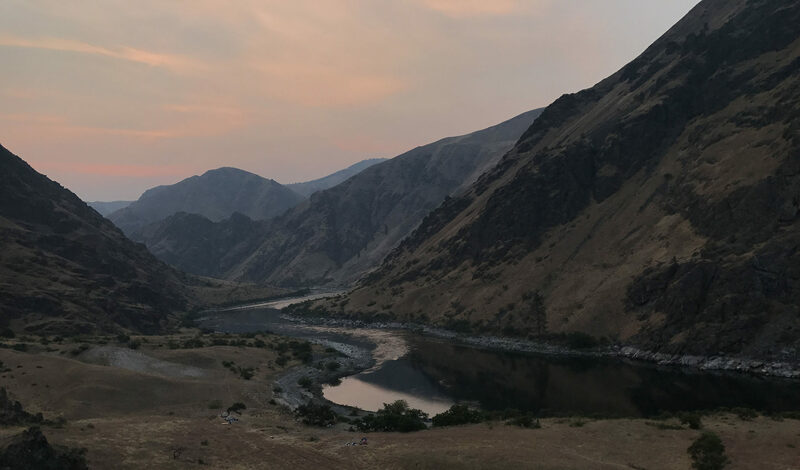 Hells Canyon is designated as a Wild and Scenic section of river, making it extremely protected. With no roads visible for multiple 30+ mile sections of river, this section of the Snake River is extremely remote. We are always on the lookout for black bears, mountain goats, bighorn sheep, bald eagles, osprey, otters and many many more animals! Hells Canyon is such a hidden gem and so strictly regulated by the Forest Service that only 5 groups can go out a day. Usually, we only see 3 groups including our own! This means that the river is yours when you’re on it. The Snake River in Hells Canyon is not a highway like some other whitewater stretches can be, but instead quiet and serene like it’s meant to be. 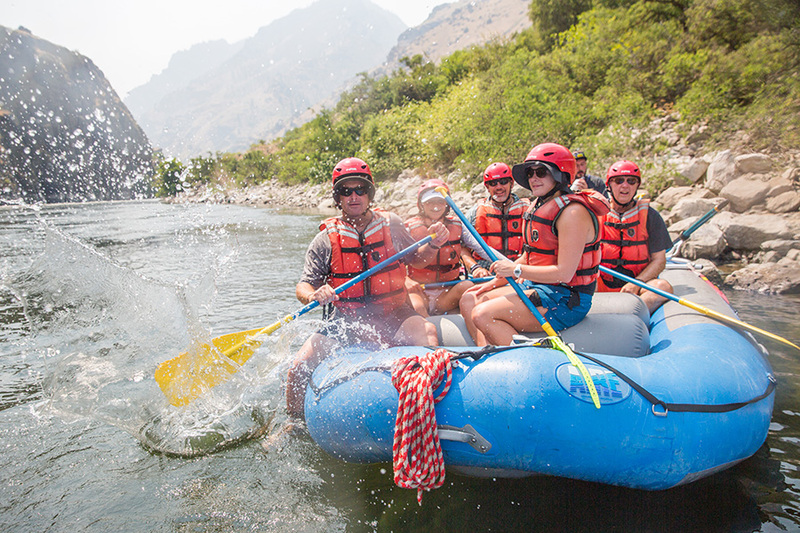 Whitewater rafting in Hells Canyon spans 80 miles. It fluctuates between stretches of calm flat water to big Class IV rapids with boat sized waves and in the middle are roller coaster style rapids for this large volume river. This whitewater is fun for all ages 7-70. Overnight whitewater rafting trips are the best part of a day of rafting combined with all the great parts of camping. Jumping off a boat in the afternoons, guests find camp all set up including their tents. 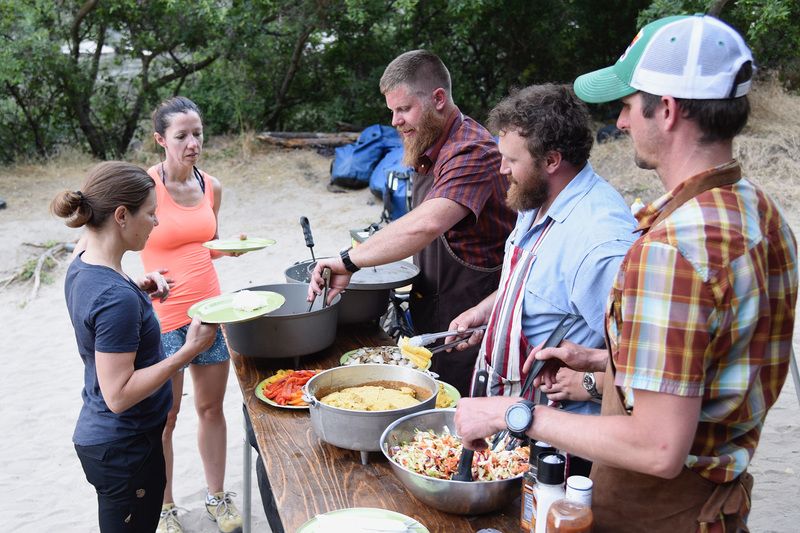 Eating great camp food outdoors, playing games like horseshoes and bocce ball, and sleeping like a baby on a cushy sleeping pad under thousands of stars is what it’s all about. Hells Canyon was home to its fair share of homesteaders and miners in the early 1900’s and their remnants still remain. Old wooden homes, fruit trees still thriving, and landscapes changed by mining efforts still fill the canyon. There is more history than can possibly be seen in one trip. Even old pictographs hint at stories that have been lost in time. Small hikes during the rafting trips lead to traces of the old adventurers where we can get a sense of what it was like to live in such a remote area of the Northwest. If you catch it right, you can even eat fruit from their trees: cherries, plums, apricots, mulberries, apples, and even figs! The fishing in Hells Canyon is great for first timers to avid fishermen. The canyon is so remote that it doesn’t get overfished. Smallmouth bass, trout, catfish, and sturgeon fill the river. 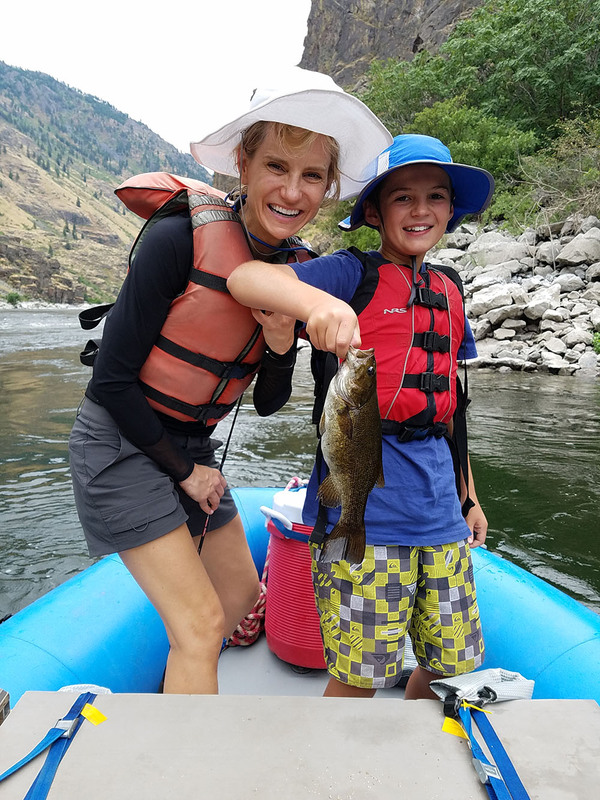 Kids especially have an affinity towards fishing Hells Canyon. Smallmouth bass love to hit on the first, second or third cast, even from a new fisherman. Kids can fall in love with fishing, catch dozens of fish each day, and have a hard time putting down the rod even at camp. It can’t be beat! This is not your average river trip fare. We’ve said goodbye to canned and pre-made food. 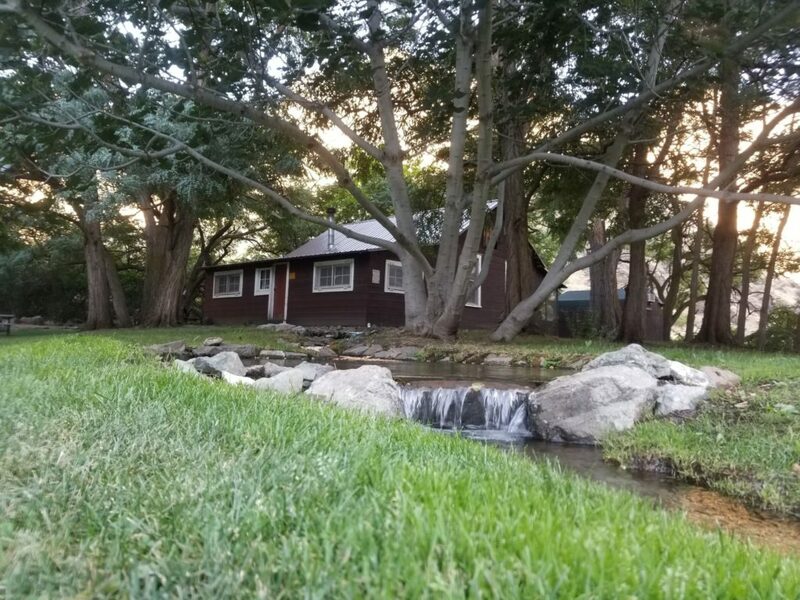 We serve delicious, restaurant quality food made with local Idaho produce and meats all prepared in our outdoor river kitchen. Grilled tri-tip, baked brie, homemade cookies, chicken salad on freshly bakes croissants are just some examples. Our menu is always changing and improving. Breakfast, lunch and dinner with appetizers, mains and desserts are included with every trip. Have a food allergy or serious preference? Let us know in advance and we’d be happy to pack what you’d like! A rafting trip is made so much better with great food. Our goal is to provide the best rafting vacations possible. Our guides are fully trained in all aspects of the river trips and are ready for any challenges that may come up. 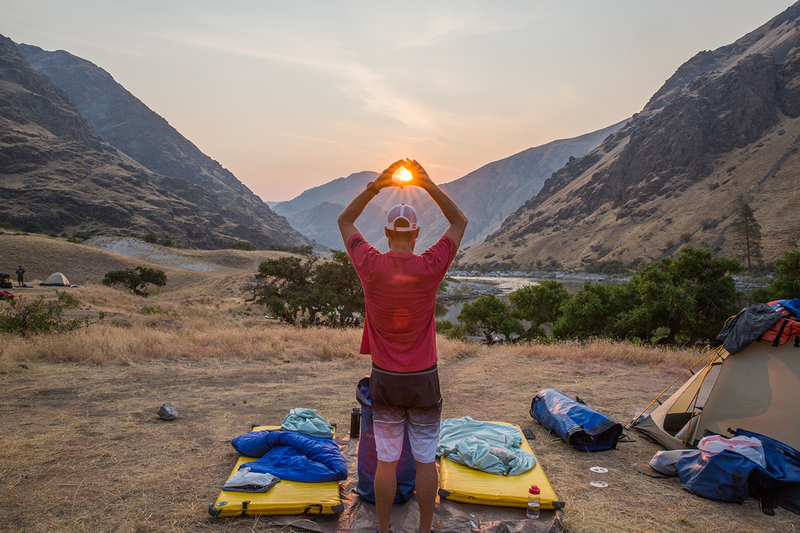 When you’re rafting in Hells Canyon with ARC, it is all about you and your friends/family/group. We want you to have the best time possible!